To correctly set up your new J88Poker account you must uninstall any existing J88 software and clear cookies. Check the browser icons for more details. Click the "Download Now" button to start. You'll be taken to J88Poker website to download the poker software and create your new J88Poker account. Please send us your preferred J88 Poker Username . J88Poker is the most recently launched Asian poker app which acts like an independent online poker room and continues the trend of the Asian poker boom which started in 2017. J88Poker has been launched in October 2017 and operates like a play money site which handles real money games through a money exchanger, which is a very trusted partner engaged into the payments operations. J88Poker has already been endorsed by some popular poker players like Justin Shin, Vivian Im or Jin Tian. While the Asian poker app is mostly designed to attract amateurs and gamblers from the huge unregulated Asian market, it is also a good place for worldwide grinders who can exploit the weak habits of recreational players. Our J88Poker review has revealed a very competitive VIP system launched by the Asian poker room. By registering at J88Poker through RakeAdvisory, you will benefit from a compelling up to 50% J88 Poker rakeback deal while playing against weak Asian players. Below you can check the main pros and cons that may help you decide whether or not to join J88Poker. J88Poker has introduced a very competitive VIP system which rewards players with up to 50% rakeback deal on a monthly basis. The loyalty system used by the independent Asian poker room is called VIP club and is structured on 7 different VIP Levels. An interesting fact about J88Poker VIP Club is that players can increase levels real time, without waiting for the current month to end while level down at the end of each month if a user fails to accumulate the required amount of VIP Points. Moreover, the required VIP points to maintain the current level have recently been reduced by J88Poker, thus being easier for players to move up faster into stakes. Below you can see the exact thresholds required to maintain the current level or reach the next one. Whenever a player reaches a new level, the VIP points are reset. Besides this, players VIP level cannot be downgraded during the month, only at the end of it. On request, we can also boost players VIP level to help them earn more rakeback faster. 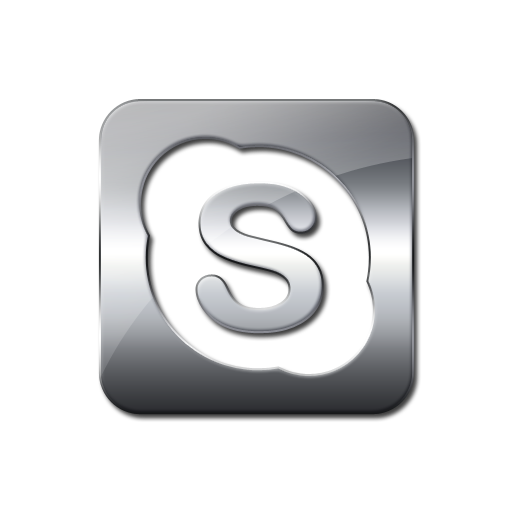 For this, you have to get in touch with us on skype and discuss your personalized offer with our global poker consultants. As you can probably notice, this welcome bonus package is designed especially for amateurs and beginners who get the chance to play free poker tournaments and increase their bankroll. J88Poker does not offer a huge Welcome Bonus for medium or high stakes players, thus we consider the Asian poker room very suitable especially for micro and low stakes players. Players who register at J88Poker via RakeAdvisory have also the opportunity to take part into the exciting J88 Poker Promotions which are designed for recreational players but might be a source of extra rakeback for worldwide poker grinders as well. Currently, the most interesting promotion at J88Poker is the Bad Beat JackPot. J88Poker uses a weighted contributed rake method where players are charged with 5% from the pot value. We can therefore consider the rake percentage as being moderate as compared with other global poker networks. On the other hand, rake cap values fluctuate within a range of 1$ up to 15$. Check the table below to see how rake cap values differ according to stakes. J88Poker is the newest Asian Poker app on the market, expanding fast in 2018 not only on the Asian poker market, but also among Western European grinders. Being a niched underground network, its traffic is not tracked by PokerScout. Nevertheless, based on our J88Poker Review, we have discovered that J88Poker focuses especially on Chinese poker players, China currently being the biggest unregulated Asian poker market. Therefore, it’s pretty obvious that peak traffic can be found in the evenings, between 7 and 11pm, according to China Standard Time (CST). As you shall not be surprised, the main action takes place at Texas Holdem and Omaha cash games. You can find tables running from â‚µ1/2 up to â‚µ1k/2k, while decent traffic can be found for â‚µ10/20 up to â‚µ50/100 for both NLHE and PLO. Badugi games are played between â‚µ5/10 up to â‚µ1k/2k while Open Face Chinese action can be found at â‚µ5 ~ â‚µ1k. Tournaments are also available in multiple formats as J88Poker, as you may have probably noticed already from their Welcome Package. Every Sunday, J88Poker hosts a main event with called Burning Sunday with a guaranteed tournament of â‚µ2,000,000. J88Poker is a play money app which hosts real money games by allowing players to deposit and withdraw using a trusted Money Exchanger. The transactions are processed very fast and usually take less than 24 hours. There are two available payment methods using international e-wallets Skrill and Neteller. The internal currency used by J88Poker is crystales where â‚µ100 crystals=1$. Playes can deposit using both USD or EUR e-wallet accounts and afterwards their J88Poker account will be credited with crystals based on this fixed exchange rate. Therefore, they will not suffer from any currency exchange rate fluctuations, as it usually happens with other currencies. The minimum deposit at J88Poker is only 50$, which is by far the lowest deposit requirement among all other chinese poker apps. Players can request withdrawals anytime, which will be processed in due time, without any cashout fees, except the standard ones charged by Skrill and Neteller. iOS version has been recently released and J88Poker celebrates its anniversary with a free GTD tournament for players. The good side about J88Poker is that, even though it is known as a new Asian poker app, it also works as an independent poker room with downloadable client where players can enjoy multitabling their preferred Texas Holdem and Omaha cash games. The client is adaptable and easy to navigate. All games are categorized and split into four different stakes: micro, low, medium and high. Being a recently launched Asian poker room, J88Poker didn’t offer access to any poker trackers such as Holdem Manager 2 or PokerTracker4, until recently when a new Hand Converter has been created for J88Poker. You can request this hand converter from us also benefiting from a discounted price of 50% upon registration. While it targets mostly Asian poker market, J88Poker is opened for international players as well. Therefore, the good news is that VPN is not required, no matter where you come from. Even though online gambling legislation can be harsh, players can register from any country at J88Poker. However, please remember that is still a play money poker app, so in order to play real money games, you need to contact us to deposit. To be eligible to play real money games at J88Poker, you will have to deposit at least 50$. Nevertheless, you don’t have any reasons not to like this new independent poker room. Being new, the field is softer than on mainstream poker networks and, in addition to that, you can register from any country around the globe and play all stakes you want, because here you can find Texas Holdem, Omaha, Badugi or Open Face Chinese Games for all tastes and limits.